“Nothing is more practical than finding God, that is, than falling in a love in a quite absolute, final way. what you read, who you know, what breaks your heart, and what amazes you with joy and gratitude. I’m not a huge fan of Valentine’s Day—that being the made up “holiday” and not that of the real person. 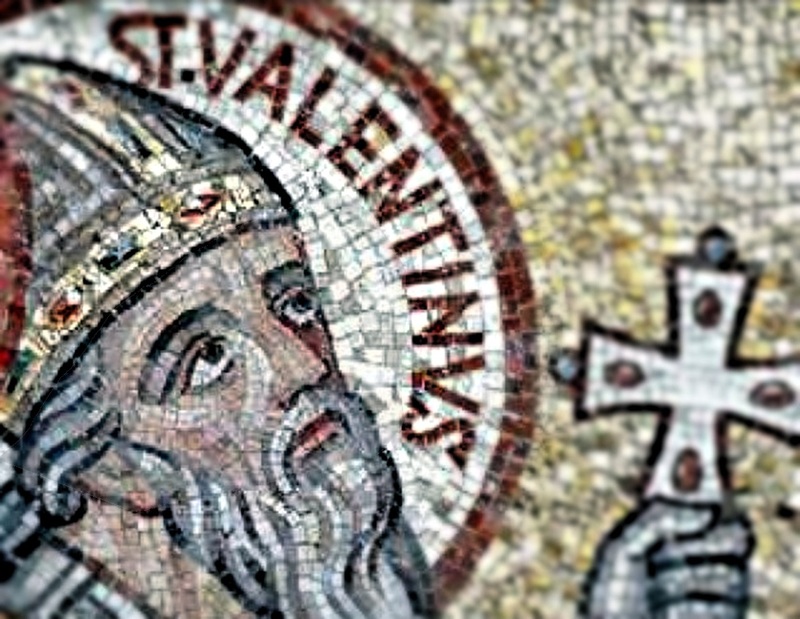 And yes, St Valentine was a real person. from 5 different suitors on a Valentine’s day long, long ago. marketing but rather more about the sacrifice of self for his faith and his fellow man. I had labored all last evening on a post about our Founding Fathers. I spent most of the evening writing it. the completed edition that was to be posted this morning. a post that was good to go, but rather just the initial incomplete writing. Odd and frustrating to be sure! found regarding the “faith of our fathers”—which was the gist of the post. President Washington and his fellow founders, perhaps I should be writing about St Valentine. and no, it’s oddly not in any of the history on the computer or WP. on this day of Love. because the ultimate example was given to us on Calvary. during the persecution of Emperor Claudius II the Goth. The great virtue and catechetical activities of the Saint had become known. For this he was arrested and brought before the imperial court. and found a welcome opportunity to finally learn what was the faith of Christians. Valentine then found the courage to urge him to repent for the blood of the Christians that was shed. Then Claudius brought the Saint to another judge. He was called Asterios, and he had a little girl who was blind for two years. Oh the great miracle! The child could see! So the judge with all his family confessed Christ. which forced him to betray his sense of justice. were beheaded on 14 February in the year 268 (or 269). such as from those who say he is the patron saint of lovers. he heard a couple quarrel very vigorously. This shocked the Saint, who then cut a rose and approached the couple asking them to hear him. a rose that blessed them. meanwhile the Saint had blessed the marriage of young Christian soldiers with their beloveds. the pagan festival of Lupercalia, a fertility festival, celebrated by the Romans on February 15. Others connect the celebration of this feast with the mating season of birds during this period. gifts and secular centers which trivialize Eros, this great gift of God.